On April 11, The Lancet Global Health Commission on High Quality Health Systems in the SDG Era held a national consultation with the Kenya Ministry of Health in Nairobi, Kenya. 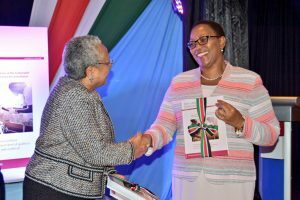 The meeting brought together a wide spectrum of advocates, implementers and researchers on health system quality, including Her Excellency the First Lady Margaret Kenyatta and the Cabinet Secretary for Health Sicily Kariuki. 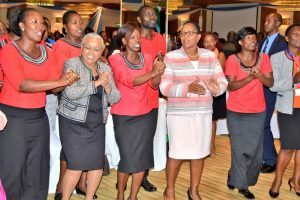 The meeting came at a pivotal moment for quality in Kenya. Universal Health Coverage is one of the President’s Big Four policy priorities, with four pilot counties rolling out UHC in December 2018. The counties are under pressure both from their constituents as well as from the national government to provide high quality care, while experiencing challenges in the transition such as hospital crowding. The transition provides a window of opportunity to rethink current models of care to move to high quality care. The high-level support for new thinking was also very visible at the meeting, with the endorsement from the First Lady and broad engagement from many sectors. The morning began with a presentation on two initiatives from the Ministry of Health for high quality health systems measurement. The first, the Joint Health Inspections Checklist, acts as a “stick”, which ensures that facilities are meeting a quality floor by meeting basic quality and safety standards. The second, the Kenya Quality Model for Health, is the “carrot”, encouraging facilities to reach for the quality ceiling through continuous quality improvement and total quality management tools. 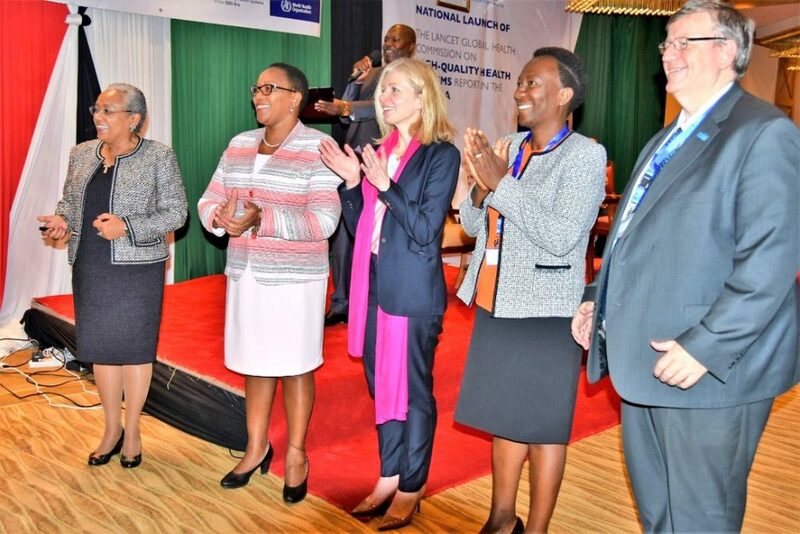 Following the presentations, the keynote remarks and presentations were made by the Principal Secretary, the WHO representative to Kenya, the chair of the HQSS Commission, the Cabinet Secretary for Health, and Her Excellency the First Lady. Common themes throughout the remarks and presentations were the need for UHC to be more than a financing mechanism, but rather to provide high quality care to improve the health of the population; the need for patient-centered care; and learning from the public and private sector to build high quality. The First Lady noted in her remarks, “At the heart of quality is the simple idea that patients are people”. In the afternoon, the group split into groups to discuss four big ideas for transformation into a quality health system: creating learning health systems, strengthening public-private collaboration, modernizing the health workforce through improved pre-service education, and igniting demand for high quality care. 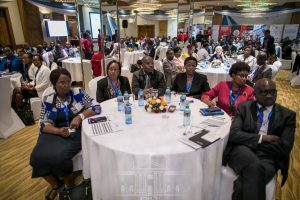 These groups featured presentation and discussion from groups including the White Ribbon Alliance, Jacaranda Health, Amref, Aga Khan Hospital, Nairobi University, DFID, and others. In addition to these sessions, Dr. Kruk met with county executives in charge of service provision in their counties to hear their concerns. From these sessions, it was clear that quality is an urgent priority and that learning across sectors could facilitate action for improvement. Emerging from the meeting, the Ministry of Health indicated it had several immediate next steps to move toward a high quality health system. First, it intends to develop a National Quality Policy. The policy will provide a common definition of quality across conditions, counties, and sectors, and will center quality as the defining function of the health system. Second, it will work to support the counties, especially those undergoing the transition to UHC, to rethink current models of care. Services must be located at the appropriate level to provide high quality services; this will mean strengthening primary care facilities to provide a larger portion of chronic non-communicable disease management, while shifting more complex services such as delivery care up to hospitals. The Ministry of Health will create technical working groups of counties and ministry officials to explore these care models and investigate the feasibility of service redesign.